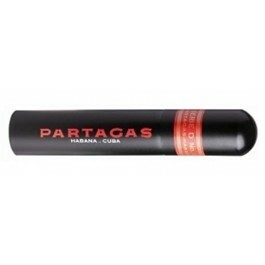 The Partagas Serie D No.4 is a Cuban classic, medium to full Robusto format, 50 ring gauge, 4.9” (124mm) long and comes in tubes in a box of 15 cigars. Neck and neck with the Cohiba Robusto for the title of the best Cuban cigars among this size, it is a powerful smoke with very complex flavors. It is definitely a must try for any cigar aficionado. 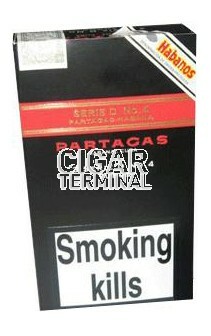 This cigar is a must have in every connoisseurs humidor, a true Cuban super star. The draw is great from the very start. The cigar might occasionally start burning unevenly, but corrects itself with no effort. The ash is firm, dark grey – almost black – and stays on the cigar until almost two inches long. The cigar delivers plenty of smoke that has a long peaty, earthy finish, it smokes well until the very end. In the second third, the cigar turns to full body, even chewy. The flavors of the first third become more intense, but not harsh. It is bold and toothy. In the last third, the cigar gets even stronger, rich and intense but not overwhelming. It becomes more creamy, complex and refined. To summarize, this is a very tasty cigar with full body, with complex and interesting flavors, without overwhelming the smoker too much strength.